In recent months, I’ve noticed that as the studio’s clients have gotten stronger, the Beginner level classes have become smaller & smaller. Originally I interpreted this as a good sign that our clients were improving and moving up the so-called “Pilates ladder.” But as I prepared the studio for the Power Pilates certification programs taking place at the studio, I was reminded that the Beginner level class is not something from which a client should graduate, but it is a class that should be revisited often by ALL Pilates students, regardless of skill level. Beginner level classes are the foundation to everything we teach at the studio. Afterall EVERY new client begins with Beginner level classes when they walk in the studio’s doors for the 1st time. 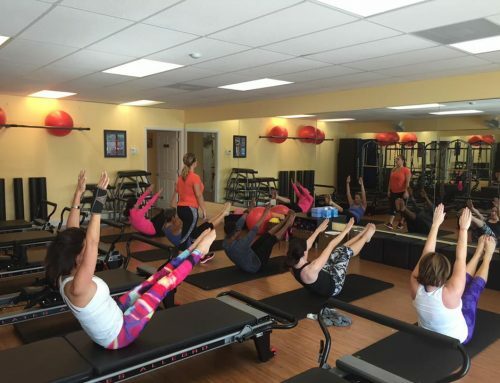 So why are Intermediate & Advanced level clients so opposed to taking Beginner level classes? Has the studio’s level-specific class structure created a cast system within the studio; a hierarchy of strength & ability? By no means was this the intent. The reason for level-specific classes is to ensure safety & quality in every class. So how can we entice Intermediate & Advanced level clients to take Beginner level classes? Perhaps change the name of the class to “Fundamentals of Pilates” to soften & stroke egos? No! It is important for ALL clients to check-in with at least 1 Beginner level class a month. If executed with proper technique, a Beginner level class can be the most challenging class taught at the studio. If you haven’t taken a Beginner level class in the past month, don’t wait! Do it NOW! This is truly the best way to gauge your progress; a base line so to speak. It is also an excellent tool for refreshing proper set-up for exercises, apparatus scan, and correct body mechanics & form. Because in the end, if you are performing the exercises with mindful intent, EVERY exercise should be challenging! Congratulations — Long-time Pilates client, Taffy Brower, for being inducted into the Florida State Golf Association’s Hall of Fame!